What’s the Difference Between Commercial and Personal Vehicle Insurance? 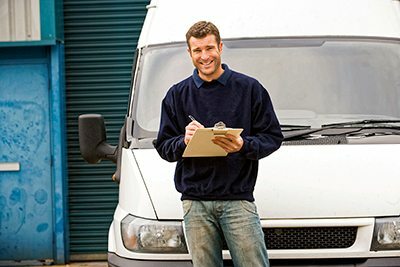 If you’re starting a business, you may need to get some commercial auto insurance. Personal auto insurance may not be enough. 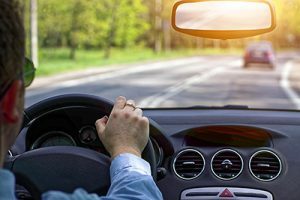 Keep reading to learn more about the difference between commercial and personal vehicle insurance. Forbes says that people, on average, have 3-4 accidents during their time on the road. In total, there are about 10 million car accidents each year. Luckily, most collisions are not deadly. Just 3 of every 1000 accidents claim a life. However, these accidents are expensive. The average claim that is made for a car crash is $23,450. Yes, that’s the average amount it costs to cover the driver and any others who were involved. Imagine if you had to pay that out of pocket? And imagine if you had 4 similar crashes in your lifetime? You can see why enough car insurance coverage is vital. Read on for a detailed explanation of both commercial and personal vehicle insurance. Personal auto insurance policies cover you when you drive for personal reasons. Going to the dentist, taking a summer road trip and driving to work are all personal drives according to insurance providers. Your insurance provider covers the cars you own and the drivers that are listed on your policy. These policies only insure cars that are registered in your name. If a car is registered to your small business, you can’t have personal car insurance, for example. Personal insurance only covers vehicles under a certain weight as well. What the weight cut off is may vary from provider to provider, so make sure to check with your insurance company if you own anything larger than standard 4-door cars. Commercial auto insurance policies are made for business owners who use their vehicles as part of their business. This doesn’t necessarily mean that you are a contractor with trucks on the road (though that counts as well). Even a florist that delivers, a massage therapist that makes house calls or a caterer are all examples of jobs that would require a commercial policy. Basically, if you are using your car for work or earning a wage, besides commuting to your workplace, your vehicle is classified as commercial. The coverage for commercial policies usually cover the same types of things you get with a personal insurance policy. However, they often have higher limits. For example, if a personal car insurance policy covers up to 200,000 worth of damage, a commercial policy might cover up to a million. Commercial auto insurance rates are typically higher. Personal Policy? A Commercial Policy? There is some grey area when it comes to certain professions and whether or not their jobs are personal vs commercial use. For example, if you grab lunch for your co-workers one day, personal insurance is fine. If you are driving someone to the airport as a friend, that’s personal. But if you are taking a person to the airport as an Uber driver, that could be a grey area. More and more insurers are now offering ride sharing insurance. These policies are usually less expensive than commercial car insurance. If you drive to a construction site, that’s personal (it’s considered commuting to work). Yet, if you take tools or equipment to that same construction site, now that would fall under commercial use. A newspaper or pizza delivery person falls into this confusing area as well. The best thing to do is call your insurance provider to ask if your policy covers that kind of job under the personal policy. Other factors to consider include how the vehicle is used and the type of vehicle. If you use your pickup to travel between inspection sites, you probably need commercial car insurance. If your vehicle weighs more than a normal SUV you likely need commercial coverage. This includes if you have a tow truck, a commercial trailer, a dump truck and so on. The reason for commercial coverage in these cases is simply because heavy-weight vehicles could would more damage if they were to get into a collision. What About People Who Are Self-Employed? If you’re a sole proprietor, you may only need a personal auto insurance policy. But it really depends on the kind of work you do. Let’s say you are a freelance business consultant who usually works via Skype from home. If you have the occasional business meeting but mostly operate from your home office, you probably only need a personal policy. There are generally 4 areas that require you to have a commercial auto policy. If you allow employees to drive your cars (or rent your vehicle). Like we mentioned previously, if your car is registered in your business name, you must have a commercial policy. 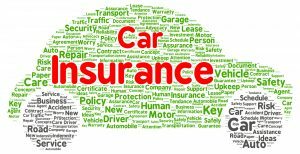 Commercial car insurance covers the same key aspects that are insured in a personal policy but at higher amounts of dollars. They also cover some extras. There is room for customization in your policy depending on your needs and the type of business you operate. If you want your insurance policy to cover the cost of damages in the event of an accident, then yes. Remember, that personal drivers don’t have the same risks and liabilities as businesses do. Because of these extra factors, a more comprehensive insurance policy is necessary. Don’t wait until you are involved in a collision to find out that personal vehicle insurance is not the right kind of policy you need. That is a nasty surprise that you never want to experience. Have a frank conversation with a KMKInsure agent about your business and how you operate. Remember, auto insurance is there to protect you. It’s in your best interest to have the right coverage, just in case. The insurance specialists at KMKInsure are here to help you with your business needs. Contact us to discuss the right policy and coverage for you. The KMKInsure team welcomes your questions and inquiries. Regardless if your question is big or small, we’re here to help. For real. © KMKInsure/KMK Group LLC. All Rights Reserved.